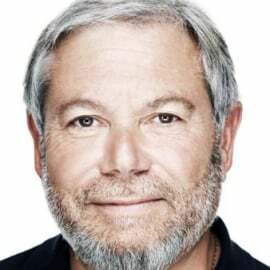 Avi Reichental is the Founder, Chairman and Chief Executive Officer of XponentialWorks™, a venture investment and product development company that is monetizing the upside of disruption from exponential-tech convergence. XponentialWorks concentrates its activities on early-stage companies that are computing and actuating the internet of everything. Since its inception, the company curated a powerful portfolio of global category-makers. For the previous twelve years, Avi served as 3D Systems (NYSE:DDD) President, Chief Executive Officer and Director. Under Avi's leadership, 3D Systems emerged as a formidable global 3D printing provider with revenue growth exceeding 6 fold and market valuation growing over 12 fold. Avi’s unique strategy transformed the entire industry and resulted in the most comprehensive portfolio of design to manufacturing products and services, channels to market and global presence. During his tenure the company was ranked the 13th most Innovative Growth Company in the world by Forbes in 2014 and was named the 5th Fastest Growing Company in the U.S. and the country’s 2nd Fastest Growing Tech Company by Fortune Magazine in 2013. For the preceding twenty-two years, Avi held senior executive leadership positions with Sealed Air (NYSE:SEE) a leading global provider of food safety and security, facility hygiene, and product protection solutions. For over a decade, Avi served as Corporate Officer with progressive portfolio of operating responsibilities including heading Sealed Air’s Global Shrink Packaging and leading the company’s European and Asia-Pacific businesses. Currently, Avi sits on the Board of Directors of Harman International (NYSE: HAR) a leading provider of connected products and solutions for automakers, consumers and enterprises worldwide. Avi is also Founder and Chairman of Centaur, Founder Chairman of ElasticMedia, Founder Chairman of Nexa3D, Chairman of Apollo Robotics, and sits on the Boards of Invertex, ParaMatters, SuperCraft3D, FreshKeep and UNYQ. In 2014 Avi was named as one of the Top 25 Makers Who Are Reinventing the American Dream by Popular Mechanics Magazine. The same year he delivered a visionary TED talk titled ‘what’s next in 3D printing’ that was already shared by over 2.4 million viewers. In 2013, Avi was listed as one of Fortune Magazine’s Top 50 business leaders, in 2012, he received the Financial Times Boldness in Business award and in 2011 he was a recipient of the 2011 E&Y Regional Entrepreneur of the Year Award. Avi is a parallel entrepreneur and active inventor who holds 25 patents. He is part of Singularity University’s core faculty, serves as a Trustee of Cooper-Hewitt Smithsonian’s Design Museum and is a member of the XPRIZE Innovation Board. Avi is a noted futurist and frequent key note speaker who is credited with dozens of television appearances including a role in the Netflix Documentary ‘Print The Legend’. He is featured in Bold, a Peter Diamandis and Steven Kotler 2015 book on how to go big, create wealth and impact the world.